Bradley Darryl Wong was born on the 24th October 1960 in San Francisco, California USA, of Chinese ancestry. He is an actor and voice actor, probably best known for his appearance in the role of Song Liling in “M. Butterfly”, for which he received a Tony Award. He has also starred in “Law & Order: Special Victims Unit” (2001-2015), “Jurassic World” (2015), “Gotham” (2016), etc. His career has been active since 1983. Have you ever wondered how rich BD Wong is, as of mid 2016? It has been estimated from authoritative sources that the size of Wong’s net worth is as high as $8 million, accumulated through his successful career as an actor. His net worth has also benefited from his memoir book, “Following Foo: the Electronic Adventures of the Chestnut Man”. BD Wong is the middle son of Roberta Christine and William D. Wong; he has two siblings. He went to Lincoln High School, where he began attending acting classes and was involved in a number of school plays. Later, he enrolled at San Francisco State University. Wong`s career began in the 1980s, landing small roles in several TV series and films, such as “Simon & Simon” (1986) and “The Karate Kid, Part II” (1986) among others. However, he came to prominence by being a part of the Broadway production “M. Butterfly” in 1988, for which he won several awards. After that appearance, his career has gone only upwards, and so has his net worth. During the 1980s, he also appeared in films such as “Family Business” (1989), and “Crash Course” (1988). With the beginning of the 1990s, his career reached a whole new level, as he began to feature in more notable roles, which only increased his net worth. These started with the role of Henry Wu in the blockbuster film “Jurassic Park” in 1993, and the following year, he appeared in the TV series “All-American Girl” (1994-1995), as Dr. Stuart Kim. In 1997, he was cast in the role of Father Ray Mukada in the TV series “Oz” (1997-2003), and before that he appeared in films “Executive Decision” (1996), with Kurt Russell, Halle Berry and Steven Seagal in lead roles, and “Seven Years In Tibet” (1997), alongside Brad Pitt and David Thewlis in star roles. Before the end of the 1990s, he showed his skills also in such films as “Slappy and the Stinkers” (1998), and he also voiced a character from the animated movie “Mulan” the same year. He continued to line up success after success in the 2000s, increasing further his net worth, with roles in popular films and TV series such as “Law & Order: Special Victims Unit” (2001-2015) as Dr. George Huang, and in 2005 he featured in the film “Stay” as Dr. Ren alongside Ryan Gosling, Ryan Reynolds and Naomi Watts. While the “Law & Order: Special Victims Unit” lasted, Won made only a few voice appearances, without any notable role, however, after the TV series ended, he started looking for further work, and it was quite easy for him, as his popularity rose immensely throughout the years. In 2015, he made appearances in the film “Jurassic World” in which he repeated his role of Henry Wu, and TV series “Mr. Robot”. Most recently, he was selected for the role of Hugo Strange in the TV series “Gotham” (2016), and he will also appear in the film “The Space Between Us” which will be released sometime in 2016, and it will certainly increase Wong`s net worth. 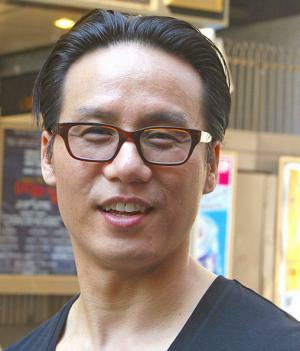 Speaking about his personal life, BD Wong was in a relationship with Richie Jackson from 1988 to 2004; they are the parents of twin sons – one of whom passed away right after birth. Their sons were born through a surrogate mother, and Wong wrote about that experience in his autobiographical book “Following Foo: The Electronic Adventures Of The Chestnut Man”. He is also known as a supporter of LGBT, as well as he works with many charities, including Materials for the Arts, Ali Forney Center, among others. 1 "It is always, always, always one of the harder things to do for me. I remain on "SVU" because it is an incredible opportunity. It affords me also the additional opportunity of doing [stage work]. I am really grateful for the opportunity to do that because it's pretty rare I think, and I also choose to live in New York, and it's been really great that way." When asked about balancing TV work with stage work. 2 In 2012, Wong's former partner Richie Jackson married Jordan Roth, one of the most powerful producers on Broadway (Roth is the president of Jujamcyn Theaters, and his successful shows have included The Book of Mormon, Clybourne Park, and Spring Awakening). The New York Times column covering the wedding said that Jackson Foo Wong, the then-12-year-old son of B. D. Wong and Richie Jackson, calls Wong "Dad," Richie Jackson "Daddy," and Roth "Daddy Jordan." The article also clarified that Richie Jackson and Jordan Roth have custody of the boy on weekdays and Wong has him every weekend, and the whole family eats a Friday-night (Shabbat) dinner together every week. 3 Award of Merit for voice-over in "The No Name Painting Association" at the Best Shorts Competition 2013. 6 Chosen by Goldsea Asian American Daily as one of the "100 Most Inspiring Asian Americans of All Time". 7 In 1999, Wong and his then-partner, Richie Jackson, hired a surrogate mother to bear their child. Wong provided the sperm and Jackson's sister provided the ovum. The mother gave birth to a set of male twins on May 28, 2000. One, Boaz Dov Wong, died at birth as a result of twin-to-twin transfusion syndrome; the other, Jackson Foo Wong, was adopted by the couple. The couple later broke up; however, they still share joint custody of Jackson Foo. Wong later wrote a book about the experience entitled "Following Foo: the Electronic Adventures of the Chestnut Man". 8 Graduated from San Francisco State University. 9 His former partner is Richie Jackson. 10 Nominated for the 1989 Helen Hayes Award for his work in "M. Butterfly" (Outstanding Lead Actor, Non-Resident Production). 11 Won Broadway's 1988 Tony Award as Best Actor (Featured Role - Play) for creating the role of Song Liling in "M. Butterfly." 12 Chose to go by his initials while playing his breakthrough role, M. Butterfly. The title character's gender is ambiguous, and he decided that using his initials instead of his full name would make it difficult to guess whether he was a man or a woman, thus adding to the androgyny of the character he was playing. 13 He and his partner welcomed their son, Jackson Foo Wong, on 28 May, 2000. 14 May 2003: published "Following Foo: the Electronic Adventures of the Chestnut Man", a memoir detailing the journey that he and longtime life partner, Richie Jackson, made towards parenthood with the assistance of a surrogate mother. The 53rd Annual Tony Awards 1999 TV Special performer: "Happiness"